It doesn’t take long these days for books to be made into movies, it seems. What this says about the movie industry, I’m not sure, but what it does say about the book industry is that there are a lot of books written recently that have the appeal of possibly translating well to the screen. The newest book to add to this list is newly-released, already best-selling Divergent, written by 22-year-old first time author Veronica Roth. Summit Entertainment (who we know as being the people behind the Twilight Saga movies) has hired a writer to create a script for them from this dystopian YA novel. The mastermind behind the Divergent script is Evan Daugherty, the creator of the screenplay for Snow White and the Huntsman, which is currently in pre-production and is set to star Kristen Stewart (Twilight) and Chris Hemsworth (Thor), among other top stars. Lytherus will be bringing you a book review of Divergent in the near future, so stay tuned to hear a little more detail about the story. 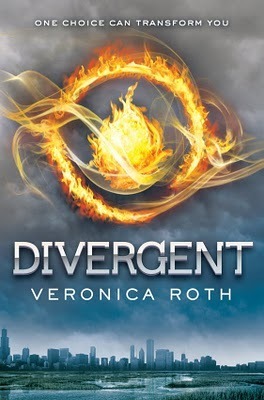 Divergent hit stores on May 3rd, 2011. Next postBeautiful Creatures Fans, Third Book Prequel to be Published in August!